HDFC Bank showcased its collaboration with Cisco to accelerate the bank’s digital transformation strategy and business growth. HDFC Bank’s focus on digitization keeps in mind the need to provide an experience to customers in line with their expectations by leveraging various digital platforms. HDFC Bank has grown its digital transactions from 63% to over 80% in the last three years. With the proliferation of mobile devices, the digital era and the growth of social technologies, consumer expectations of digital banking have increased manifold. Customers expect to complete their transactions anytime and anywhere, through different channels. To meet the ever-evolving customer demand, HDFC Bank powered its backend infrastructure with Cisco’s networking solutions. HDFC Bank’s data center built on Cisco Unified Computing Systems (UCS), leverages the performance of the Cisco Nexus Datacenter switches to reduce cost and complexity through automation, analytics, and energy management. By moving to a virtualized environment, HDFC Bank has significantly improved the speed of application deployments, reduced time for software upgrades as well as lowered its data center footprint. The streamlined and integrated Cisco infrastructure has thus helped enhance efficiency, increase resource availability, security and performance. With customer-centricity and customer experience being the top priority for HDFC Bank, the bank is looking beyond core banking to delight its customers. HDFC Bank consistently aims to deliver a consistent experience across all their channels. Tele-Sales is one of the important channels that HDFC Bank uses to maximize on the cross-sell and up-sell opportunities that they have in the market. Within the HDFC Bank’s contact center, Cisco Contact Center Solution delivers intelligent routing and call treatment, network-to-desktop computer telephony integration, and omnichannel contact management. Also, with the help of predictive dialing, agents can now make almost 1.5 X more sales calls every month. Organizations that are seizing the digital opportunity need security everywhere – from the network to the endpoint and from the cloud to every corner of their operations – to limit the risk of sensitive data compromise. HDFC Bank has commenced the implementation of Cisco’s next-generation security solution Cisco Identity Services Engine (ISE) to protect and manage its IT infrastructure and provide endpoint security across 4,787 branches – making it the largest deployment in the Asia-Pacific and Japan region (APJ). 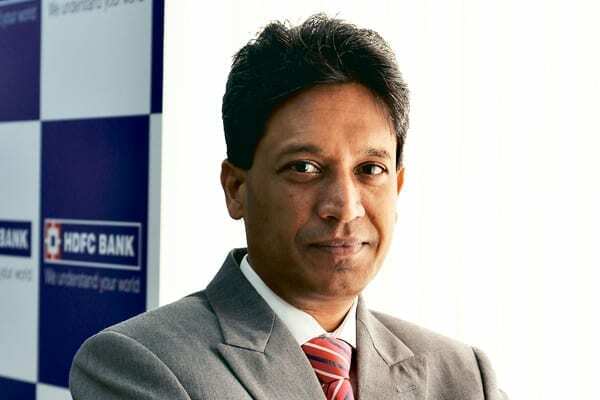 Munish Mittal, Chief Information Officer & Group Head – Information Technology, HDFC Bank said “Technology transformation in the banking industry is increasingly becoming a competitive edge. The pivotal element of our customer centricity strategy is to deliver a seamless, relevant, secure and enhanced personalized banking experience to our customers. The moment of truth lies in a running service, and we are highly focused to ensure that the digital banking services keep running by deploying many of them in Active-Active Configuration across two physically distinct data centers on the strength of Strong Network Solutions & Intelligent Routing. A robust network is amongst the primary prerequisites of digital banking”. “The retail banking industry today operates in a highly challenging environment. On the one hand, customer satisfaction remains critical while on the other, banks need to optimize operational costs while ensuring security and performance. Cisco Unified Computing System gives HDFC Bank a robust converged platform that delivers increased productivity, scalability and security. Cisco’s Contact Center Solution enables a truly connected experience as well as helps the bank increase its contact center efficiently while delivering a superior customer experience. Our partnership with HDFC Bank is a great example of how technology can help digitally enabled organizations to transform their customer experience and create value. We look forward to building on this partnership and help drive growth and create value for all stakeholders,” said Sameer Garde, President, Cisco India and SAARC.